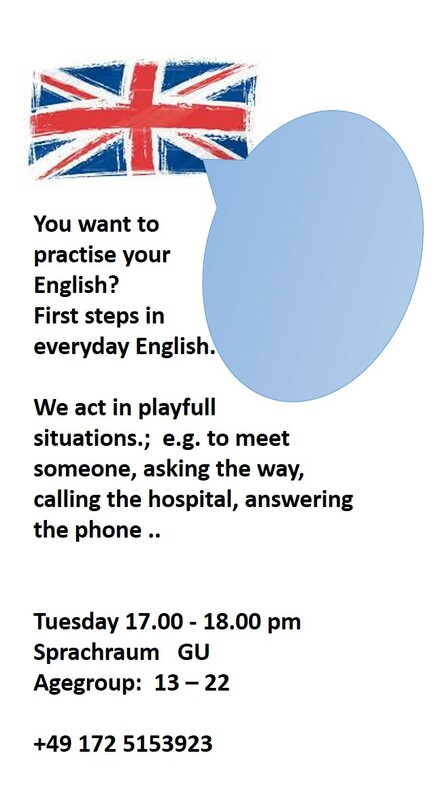 You want to practise your English? First steps in everyday English. We act in playfull situations: e.g. to meet someone, asking the way, calling the hospital, answering the phone ..